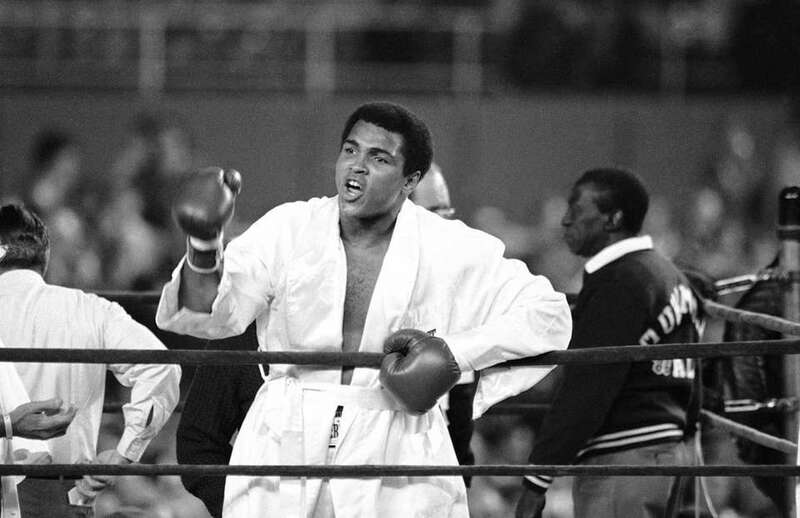 In the third fight of their trilogy, Muhammad Ali retained the heavyweight title by winning a very close, but unanimous decision against Ken Norton at Yankee Stadium on September 28, 1976. 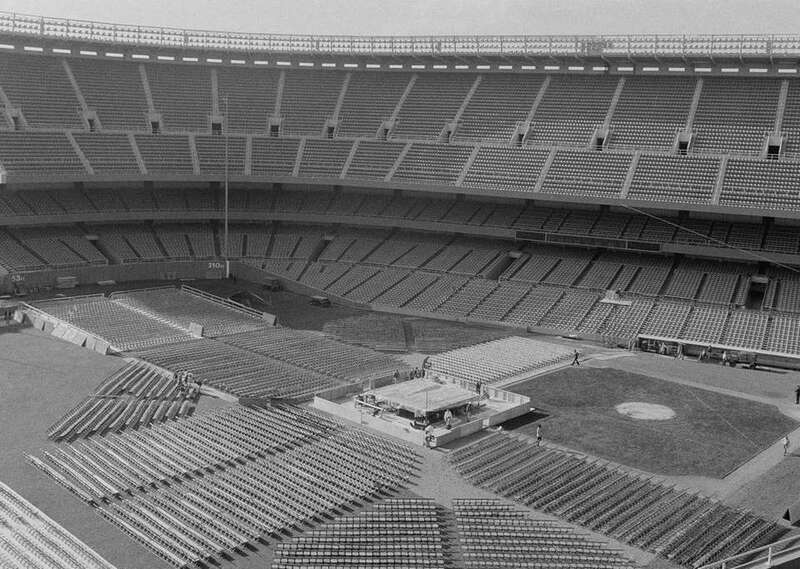 It was the last fight at the old Yankee Stadium and was refereed by Long Island's Arthur Mercante Sr.
Ageneral view of construction on the boxing ring and seats at Yankee Stadium, Sept. 28, 1976, for the bout between Muhammad Ali and Ken Norton in a 15-round title fight. 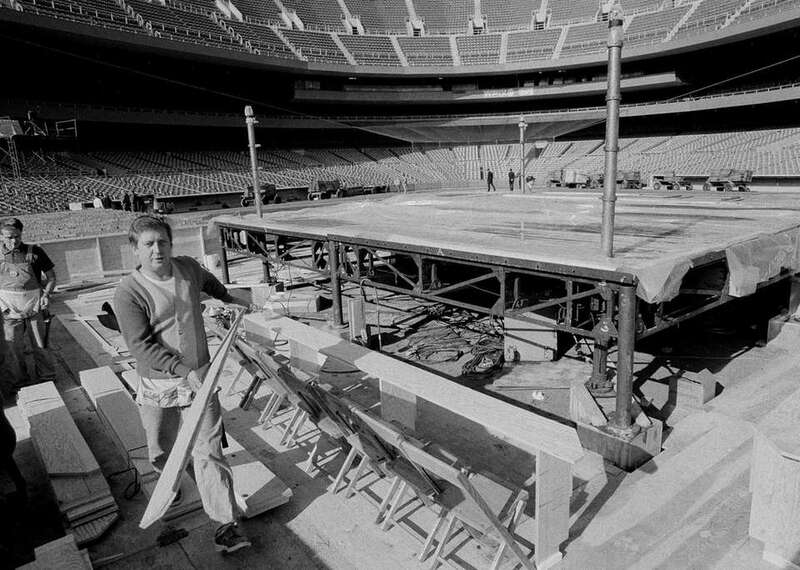 An unidentified workman is shown working on construction on the boxing ring and seats at Yankee Stadium, Sept. 28, 1976, for the bout between Muhammad Ali and Ken Norton in a 15-round title fight. Muhammad Ali prior to the first round of his title fight against heavyweight contender Ken Norton, shouting "Norton must fall" at Yankee Stadium on Sept. 28, 1976. 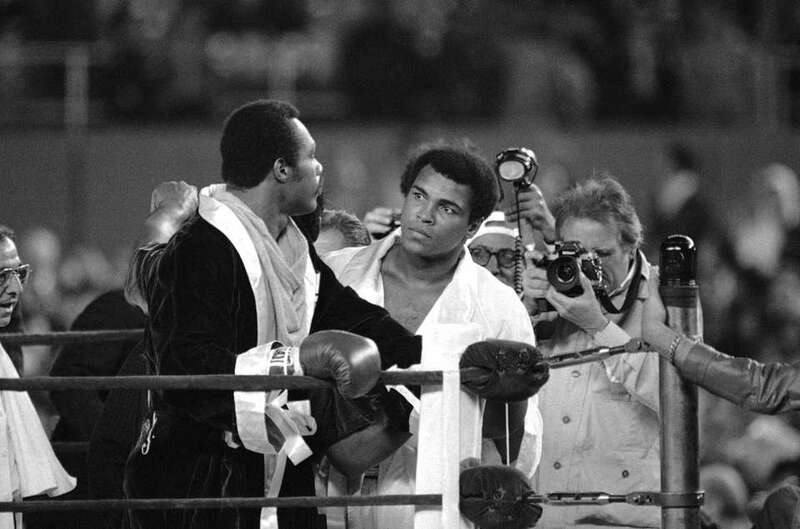 Champion Muhammad Ali walked over to heavyweight contender Ken Norton before their title fight and tried to psych him out at Yankee Stadium in New York on Sept. 28, 1976. 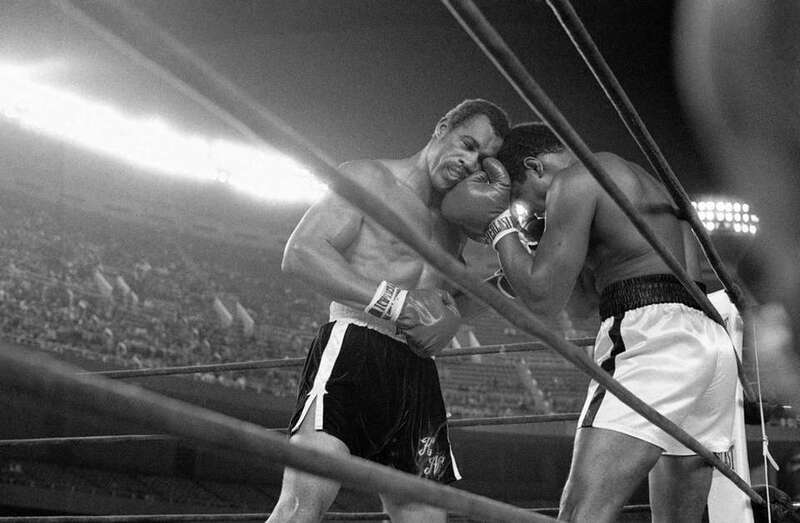 Challenger Ken Norton, left, and heavyweight champion Muhammad Ali trade right punches in the late rounds of their title fight on Sept. 28, 1976, at Yankee Stadium. 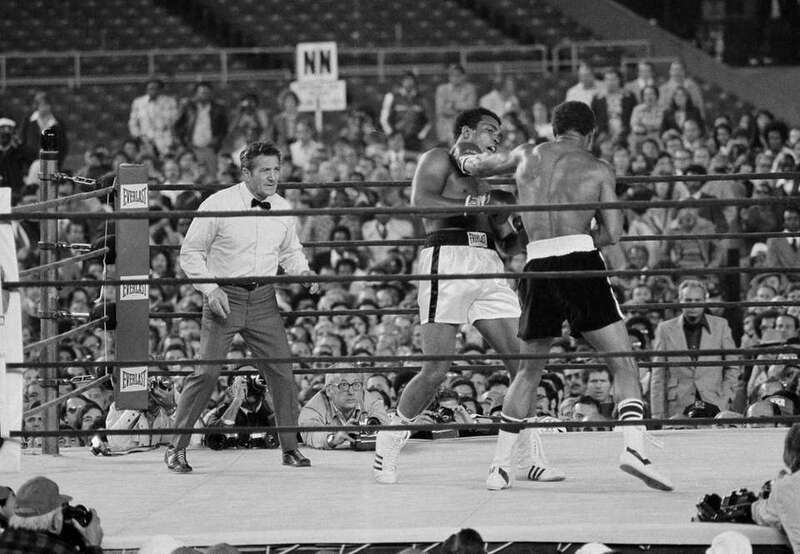 Ken Norton ducks down during his bout with Muhammad Ali at Yankee Stadium, Sept. 28, 1976. 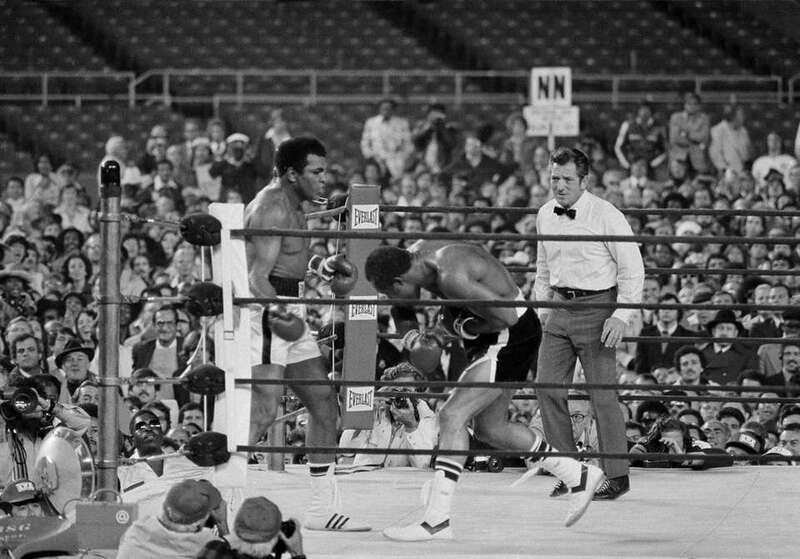 At right is referee Arthur Mercante Sr.
Heavyweight champion Muhammad Ali takes a punch in the eye from Ken Norton in their title fight on Sept. 28, 1976 at Yankee Stadium. 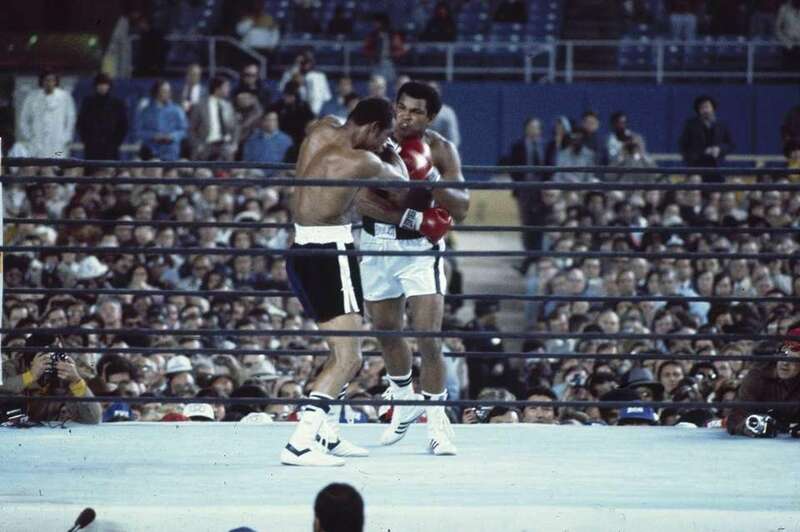 Muhammad Ali fights Ken Norton at Yankee Stadium, Sept. 28, 1976. Ali won by unanimous decision. 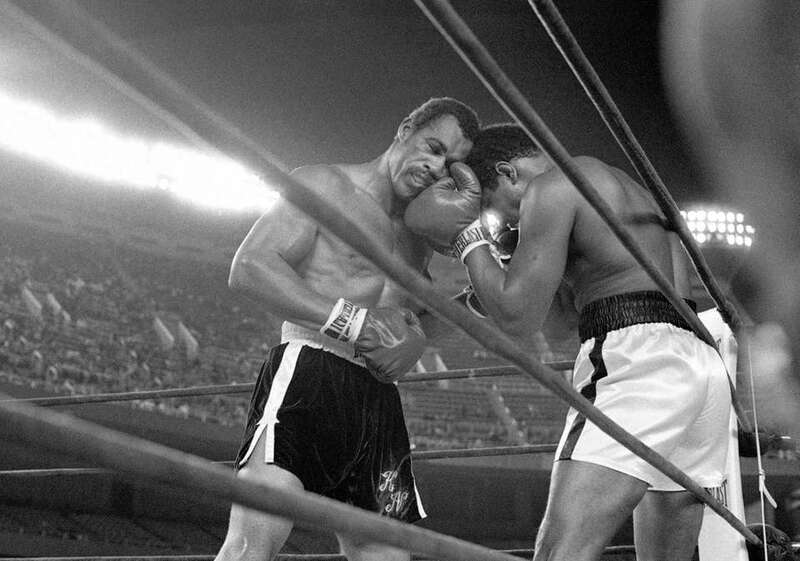 Heavyweight champion Muhammad Ali tries to avoid a left hand thrown by challenger Ken Norton in a middle round of their title fight in Yankee Stadium, Sept. 28, 1976. 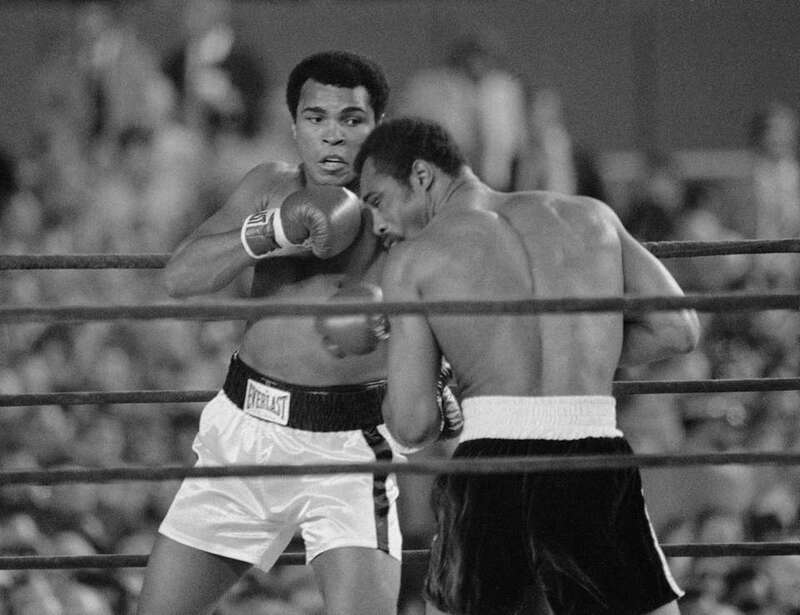 Challenger Ken Norton, left, and heavyweight champion Muhammad Ali trade punches to the face in the late rounds of their title fight in Yankee Stadium on Sept. 28, 1976. Ali retained his title on a decision in the 15-round bout. 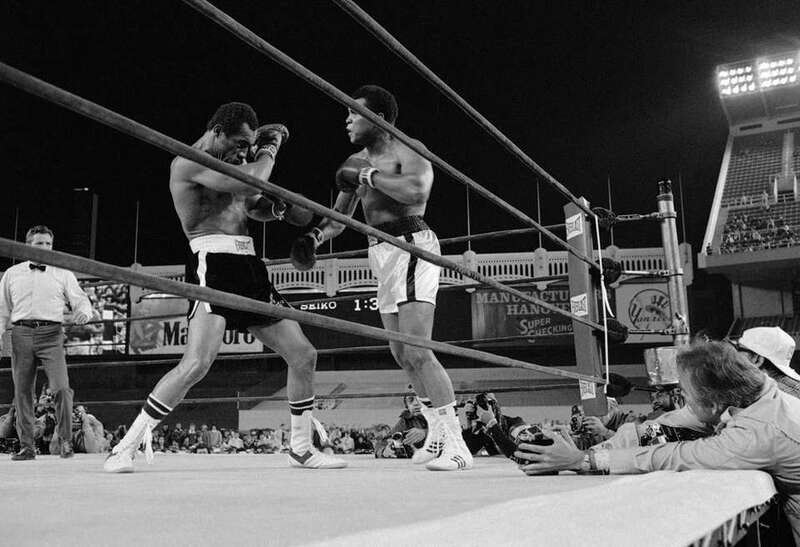 Muhammad Ali knocks challenger Ken Norton back with a right in the 14th round of their title match at Yankee Stadium on Sept. 28, 1976. 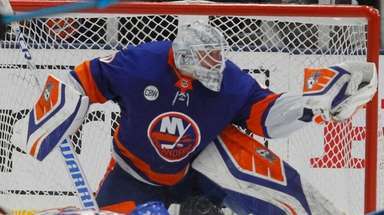 Ali retained his title with a decision win in the 15-round bout. 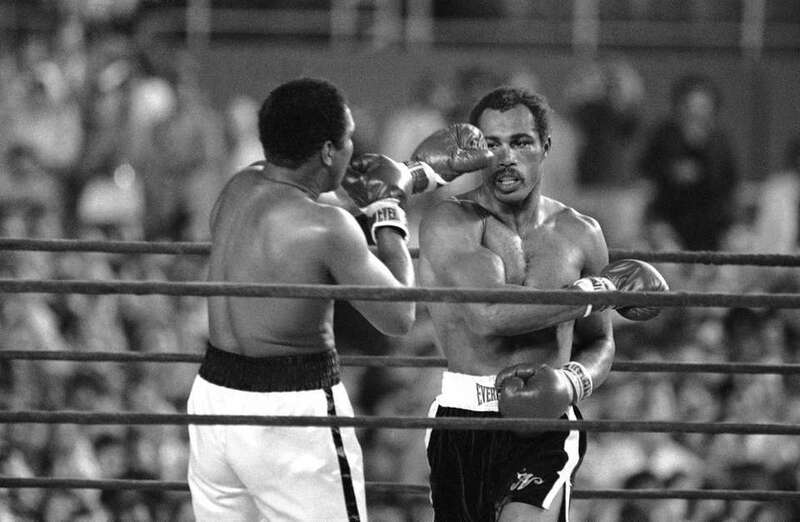 Heavyweight champion Muhammad Ali knocks challenger Ken Norton back with a right hand in the 14th round of their title fight September 28, 1976. 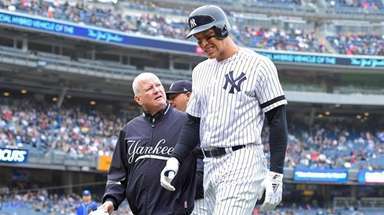 Ali retained his title with a decision win in the 15-round fight in Yankee Stadium. 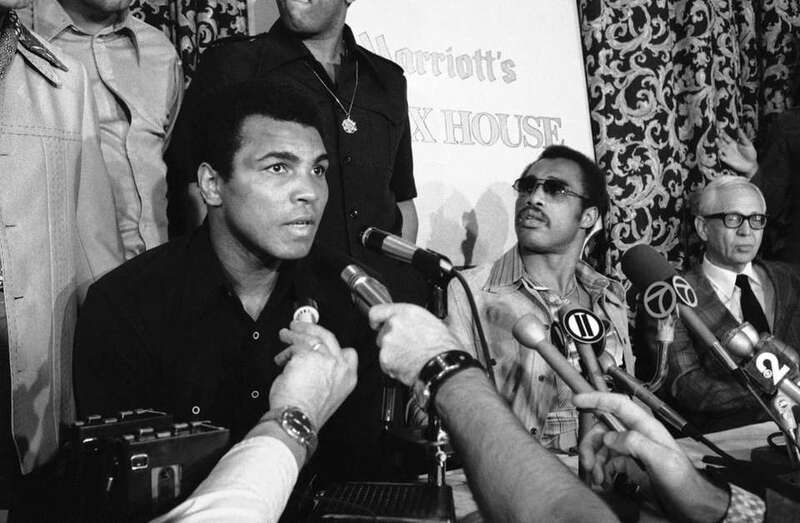 As world heavyweight champ Muhammad Ali, left, talks with reporters, challenger Ken Norton rises to leave a news conference on Wednesday, Sept. 29, 1976 at the Essex House hotel in New York, the day after Norton failed to take the world title from Ali in a 15-round bout at Yankee Stadium.